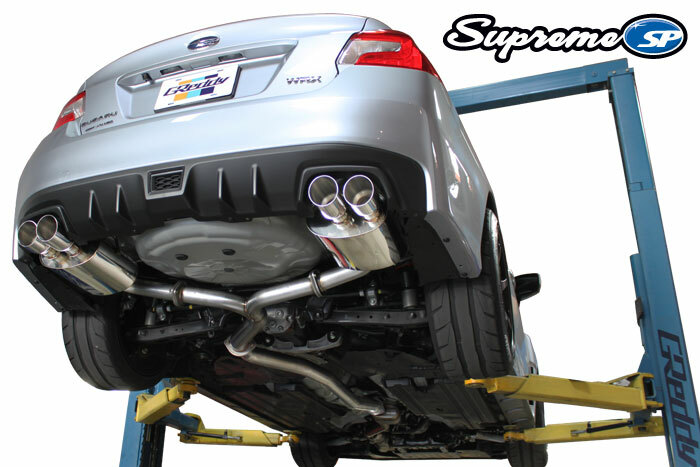 The Supreme SP for the (VA) Subaru Sedan features large dual oval mufflers and quad staggered tips in a "tucked-away" layout, for maxium muffler ground clearance for the Subaru WRX/STI! The legacy of the GReddy SP lives on with GReddy’s best version yet, the Supreme SP and to prove it carries a limited lifetime warranty! From the 1st flange to the new double-wall GReddy Tip, each Supreme SP system features a high-quality, hand Tig-weld 304 stainless-steel outer construction. Within the muffler, new straight-through and directed- straight-though chambered muffler designs allow GReddy to engineer a more refine exhaust note while increasing exhaust flow and performance. 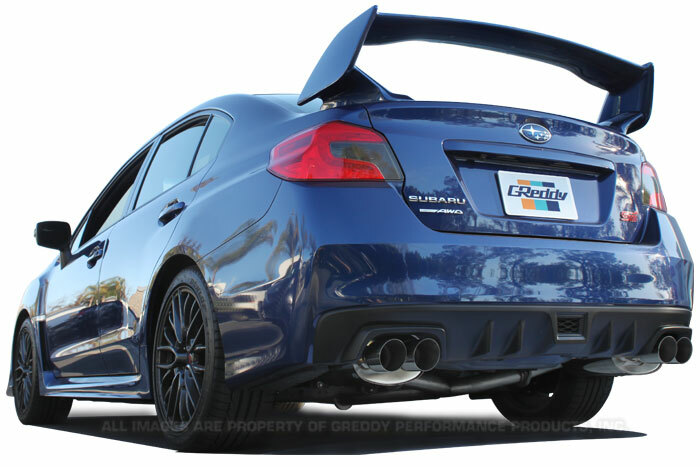 Classic GReddy street performance styling is maintained with excellent fitment and a stylish exhaust system layout. The Supreme SP not only designed to perform and sound great for each specific application; it matches the vehicle’s body-lines and styling. 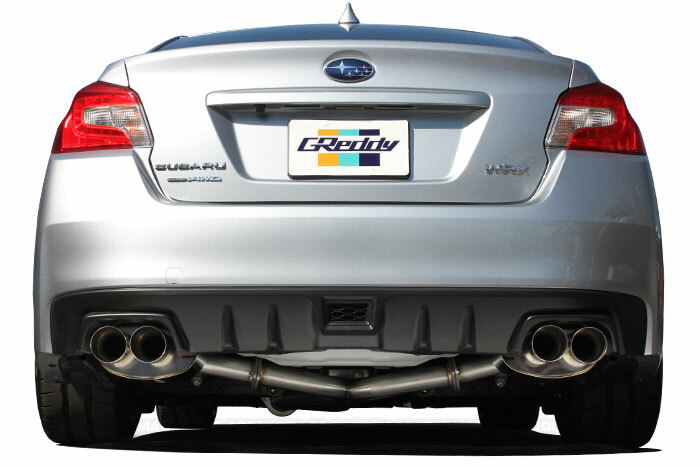 The Supreme SP for the Subaru Sedan features large dual oval mufflers and quad tips in a hidden layout, for maximum output muffler ground clearance. With Large 76mm (3") piping carefully routed near the rear differential to a centralized Y-section for a more smooth flow. The system adds improved performance with an exceptional sound for both the EJ powered STI and FA powered WRX applications. The system is finished off with a classic quad Supreme SP 89mm laser engraved GReddy tips. The system sounds as good as it looks. 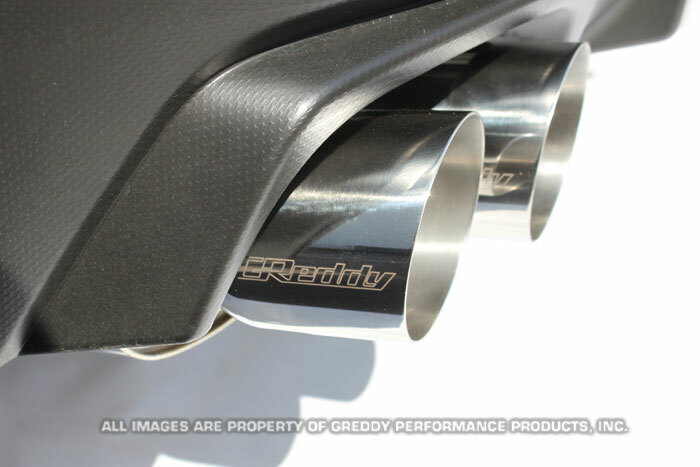 Like other GReddy Supreme SP systems the hand-welded 304 Stainless-Steel exhaust system carries a Limited Lifetime Warranty.